Long known for their world class Zinfandels, the 30 odd wineries of Amador County also produce outstanding Syrahs, Barberas and Chenin Blancs. Best of all, the closest of these wineries are located less than an hours drive from mid-town Fairfield. 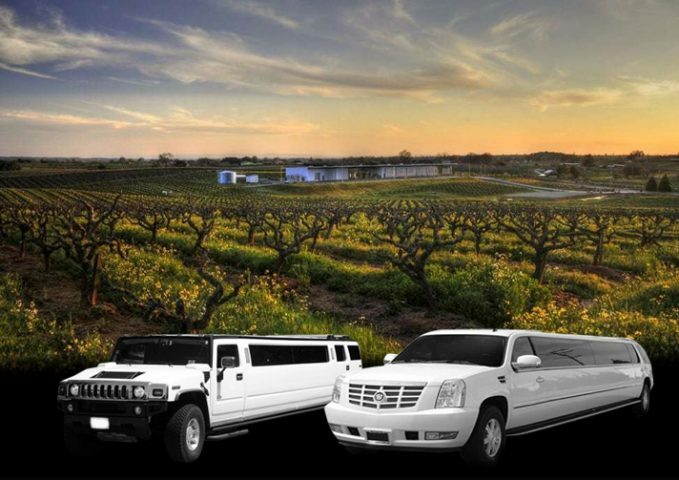 We are your premier Amador county wineries limo and bus service. Bantum Cellars: Lively zinfandels and Mediterranean-style blends rule the roost at Bantam Cellars, in a setting of country elegance conjuring up a barn dance of grand proportions. The winery invites visitors to strut on in and taste the wines everyone is crowing about. Montevina: One of the most commercially successful wineries in Amador County, Montevina features some very reasonably priced Zins and a wonderful Chenin Blanc. The fact that they allow all members of a tour group to aggregate their individual purchases for computing the amount of the volume discount makes this a great stop for large groups. Villa Toscano: Without a doubt, along with its sister property, Bella Piazza, are two of the nicest properties in the Amador Region and are great places to hold special events. As an added bonus, Villa Toscano also features a very nice selection of prepared foods, and as such, is a great stopping place for lunch. If you do, we suggest trying a bottle of their 2004 Sanglovese as a perfect compliment to almost any of their food selections. If you like their wines as much as we do, we would also suggest that you join their Wine Club and receive substantial savings on your purchases. Charles Spinetta Winery and Wildlife Art Gallery: The Spinetta family has farmed in Amador County since 1852. Its modern winery offers Amador wine enthusiasts a broad range of varietals, including barbera, chenin blanc, petite sirah, primitivo and zinfandel, as well as other rare, aged Amador County wines. The winery proudly showcases 450 framed pieces of art and sculpture in its spacious wildlife art gallery. Karmere: This winery is a result of five generations of farming, and has some of the nicest tasting room staff you will ever meet. The property is beautiful, and the tasting room is warm and welcoming. We love the Sparkling Wines (Traditional, Raspberry, and Almond). Or, for the discerning red lover, try the Barrel Tasted Syrah’s named after the owner’s daughters and granddaughters! Renwood: Surrounded by some of America’s oldest Zinfandel vineyards in Amador County, this winery produces world-class, award winning Zinfandels. For the dessert wine drinkers, try the “Amador Ice Zinfandel” – the only zinfandel wine that is produced in the cryo-extraction process. For a more traditional Zinfandel, try the Grandpere, Grandmere, or Old Vine.